One of the adorable residences in St. Cirq Lapopie. All photos by Margueritte Richards. 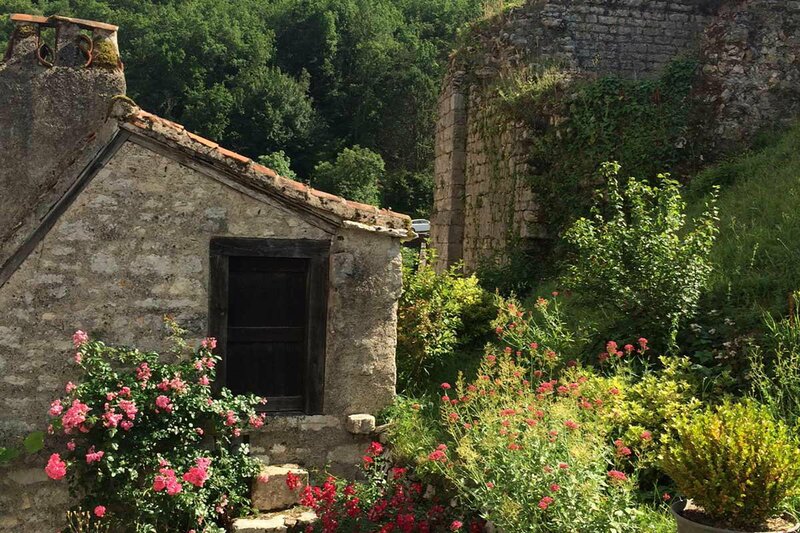 Fathom contributor Marguerite Richards is traveling around the Midi-Pyrénées in southwestern France, trying very hard to avoid throwaway trends, instead seeking out real artisans at work. She sent us a dispatch from the road. MIDI-PYRÉNÉES, France – Sticker shock at the cost of handmade products is a phenomenon of our generation. We buy inexpensive imports of lesser quality, satisfied by their lifespan because we have become so fickle and trend-obsessed. While it has become a global habit over the last few decades, Americans are especially good at justifying disposable goods. Why buy something we know will last for 50 years when we can't even promise to live in the same state for a decade? We move, we change, and so we buy, buy, and buy. But there is a quiet shift in that mentality, especially those travelers among us that see the need to use less, preserve more, and appreciate limited resources. Notice how in many other places, items like furniture are passed on from one generation to the next? These objects have soul. I'm currently traveling through France, exploring different ways objects are made. It has helped me find new respect for quality goods. I can see why they are so expensive now: They demand hours upon hours of patience, raw materials of exceptional quality, and an indispensable human touch. 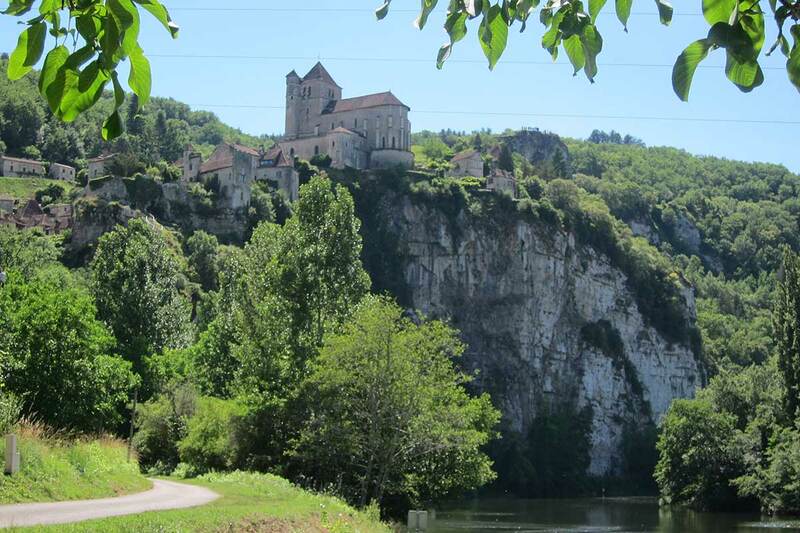 Passing through dozens of tiny communes and small towns, I've been driving the 50-mile stretch of the Lot River Valley that spans the entire Lot department from Puy l'Evêque at the west to Cajarc in the east. These are some of the things I found so far, made with love. 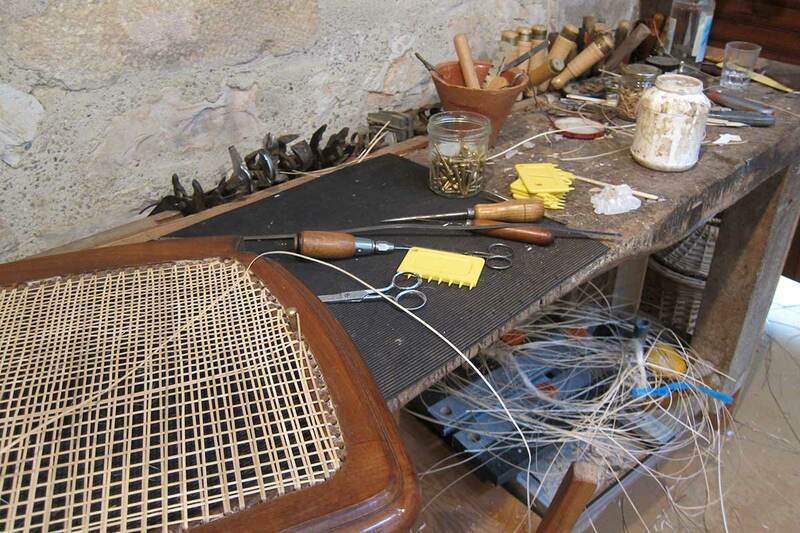 Rémi Deportes weaving wicker chairs with proper technique. Chair caning (think wicker) has been a French craft since the late 16th century. When done by hand, it's incredibly ecofriendly. But caning artisans still laboring over this handicraft are few. Today, machines to do the work, and the use of glues and other synthetics render a product that looks good at first glance, but that falls apart much more quickly than the original. The natural fibers alone, properly woven without glue, withstand time, temperature, and humidity. In the tiny hamlet Les Junies, Rémi Deportes harvests the straw-like leaves from the marshland near his atelier. He has been at it for 36 years now and he's fully aware that he needs to be open to changing times. When he is not busy repairing coveted family heirlooms, he works with new designers to incorporate this traditional style of weaving into modern designs, and works with students for art expositions. His desire to hold onto tradition, with an open-mindedness to new trends, is inspiring. 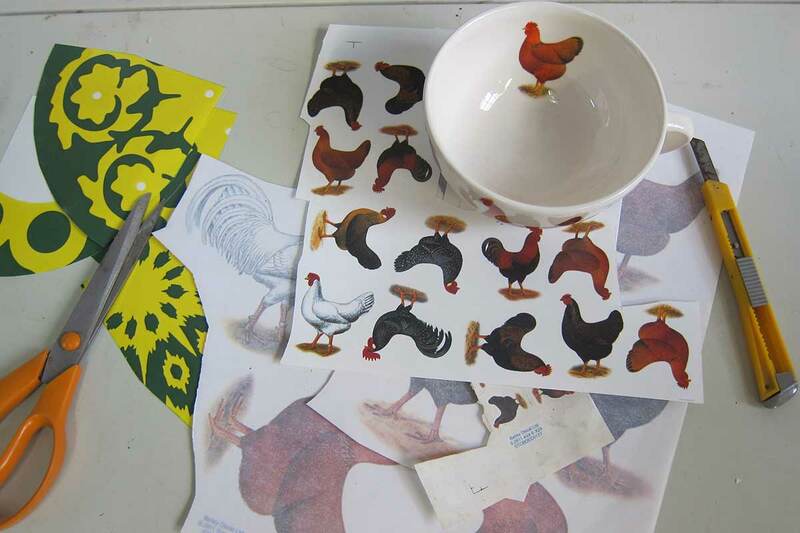 The making of Virebent earthenware and ceramics. When I first walked into the showroom at Virebent in Puy l'Evêque, I couldn't tell the difference between their ceramics and the imports we see at discount stores for so much less — until I saw the team at work. Virebent has been making porcelain, stoneware, and earthenware products since 1924. At the time of my visit they were busy producing large porcelain pots to hold oversized scented candles for a popular French company called Diptyque. I learned later that these candles retail for $290 each. 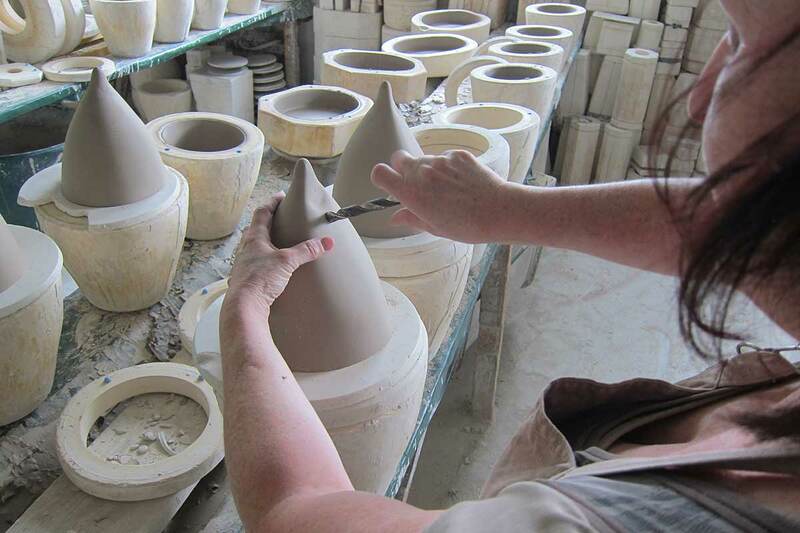 The nice thing about visiting the porcelain factory, was that I saw first hand that each candle pot passes through the hands of at least four different people — from mold design, casting, finishing, heating, and finally enameling processes. There are no machines at Virebent. The candles last for ages; the pots you keep forever. 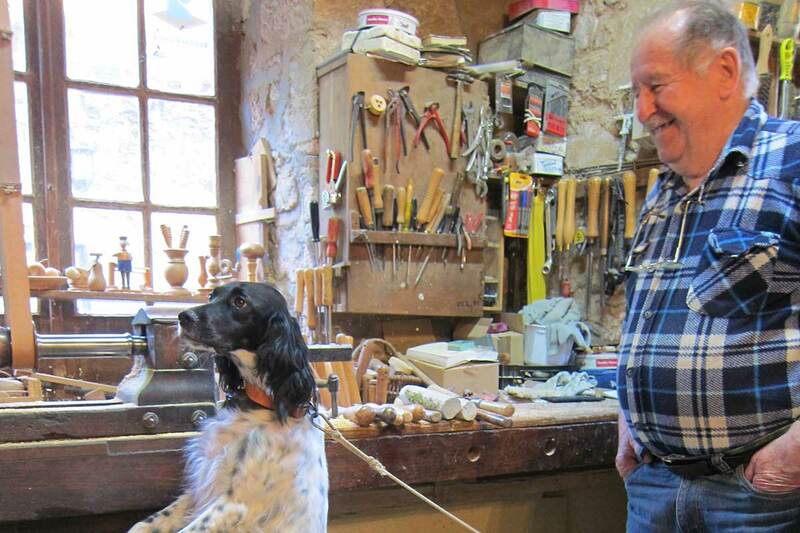 The most charming artisan town in southwestern France; woodworker Monsieur Francois Vinel and his dog Hiris. In St Cirq Lapopie, a hilltop town of 200 inhabitants (and only 30 in the winter! ), ten are resident artists and even more are artisans making hats and designing clothes. Red flags mark their workshop doors. Most historical records about St Cirq were destroyed in the French Revolution, and so this medieval town remains mysterious, radiating with the gorgeous light that has attracted painters for centuries. The Lot department used to be central to woodworking production, and many artisans of this trade filled the area. 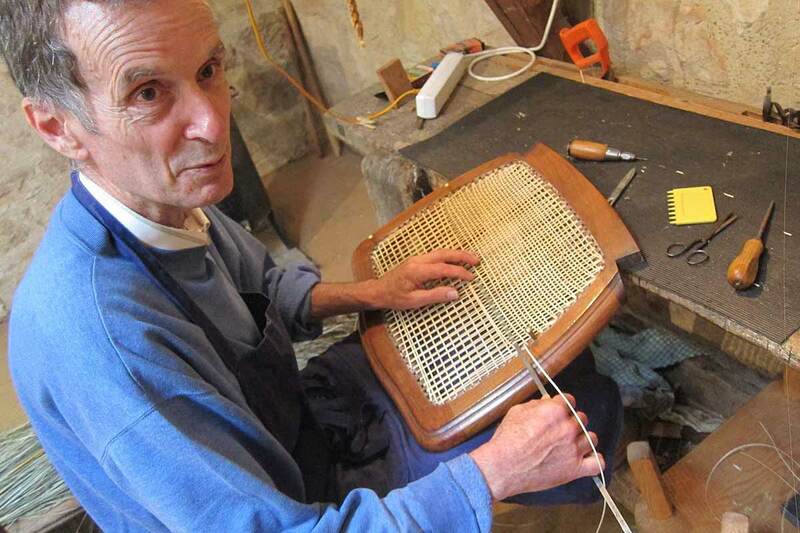 Monsieur Francois Vinel is the last remaining woodworker in St Cirq Lapopie, still keeping his workshop open and carving small trinkets, toys, and utensils. He and his dog Hiris make the perfect, playful team. Phyt's lab for organic beauty products, nestled in the beautiful vineyard settling of Caillac, has the stunning Chateau Lagrézette just around the corner. I am admittedly skeptical about the quality of organic products in beauty supplies. Isn't it just marketing? 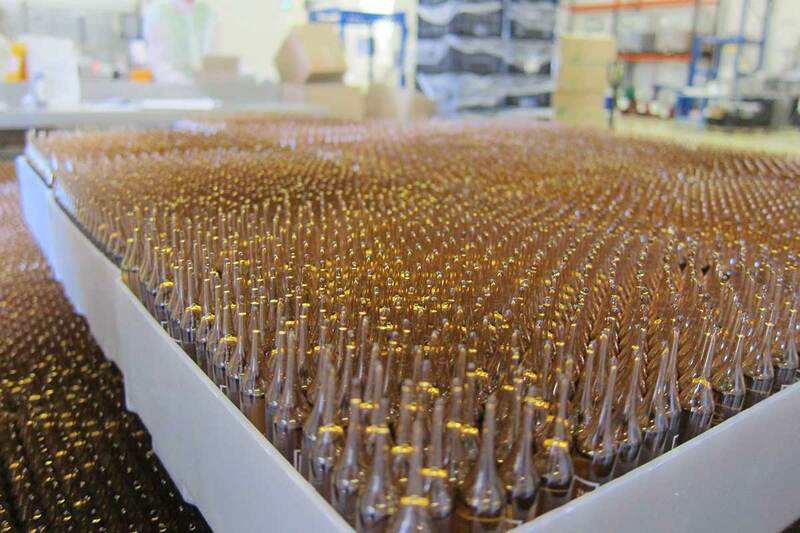 But dozens of steps for quality control are performed right here at the labs, with strict regulations for organic products, even the creation of sterile environments in order to keep delicate raw materials preserved. All of this performed by human hands and very limited, small machines. Phyt's facial treatments are prepared and delivered in such a way that there is no product spoilage. While I wouldn't want a treatment at the lab itself, Hotel Le St Cirq (just across from St Cirq Lapopie) just opened a spa setting to die for — no hotel stay required. Marguerite is a Californian writer and editor living in Sri Lanka. She is currently curating a book of stories by authors of Muslim heritage living around the globe. You can follow her on Instagram at @margueriterichards. She travels to understand cultural differences and the nuances that separate us, with the resolve to build understanding through her work.